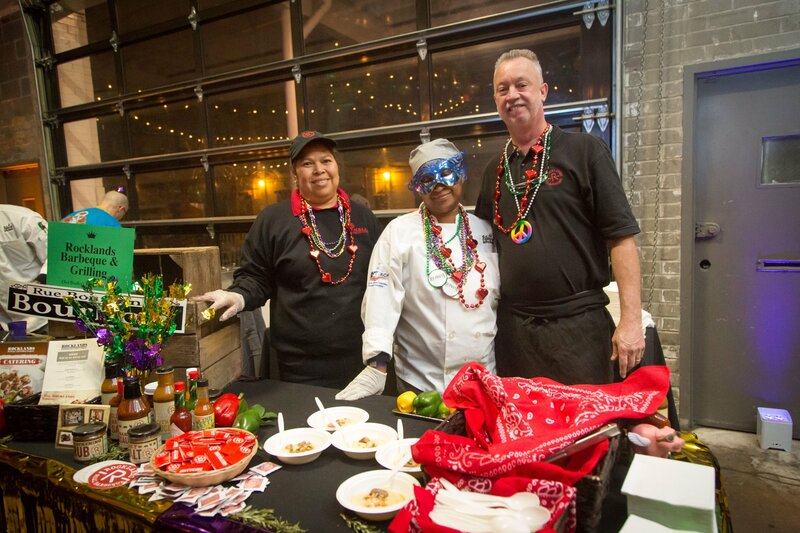 Authentic Mardi Gras Extravaganza – New Orleans Native Chef David Guas and Mixtress Gina Chersevani along with celebrity friends. Under the helm of famed mixologist Gina Cherservani, over 12 mixologists will serve the best of New Orleans classics, in a competition to win title of Best Hurricane Cocktail. 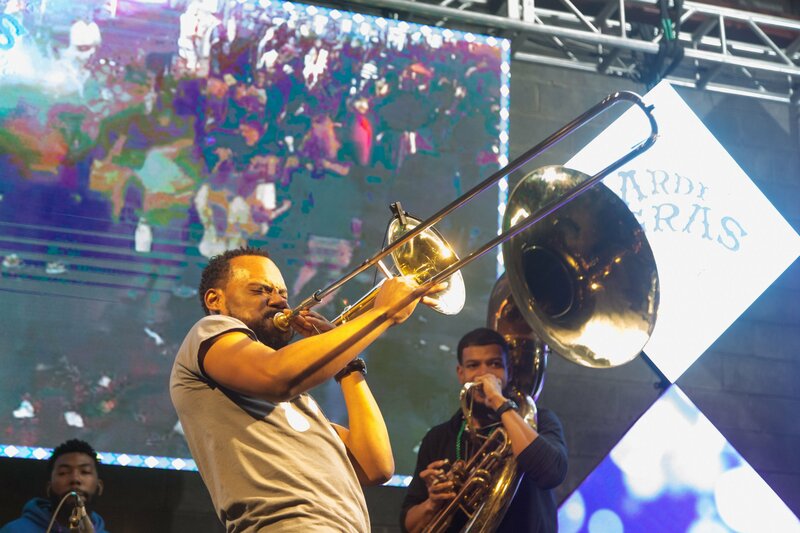 A live broadcast of Bourbon Street projected on our custom LED Wall creates the perfect backdrop for the amazing sounds of the best Louisiana style bands jamming throughout the night. Chefs David Guas and Spike Mendelsohn curate 25 chefs from around the region to highlight a NOLA inspired dish focused on deliciousness and sustainability and battling for the title of Best Chef Bite. Save some room for the original tri-colored King Cake stuffed with cream cheese by Chef David Guas, or explore something new – King Cake Doughnuts and Milkshakes! Tables of complimentary masks and beads add to the spirit of this exciting evening. The rattling of the bartender’s shakers and the smell of shrimp po’boys, red beans and rice, and jambalaya with potent andouille sausage fill the air. It’s clear that an authentic celebration is taking place and it’s unlike any other event in DC. This event is not to be missed. Laissez Les Bons Temps Rouler! Pay one price: $55 [+tax] to get your “Gras On” with award-winning chefs and mixologists in DC, and soul, rockin’ bands playing LIVE MUSIC all night. Costume Contest and Hurricane Cocktail Competition. Guests must be 21+.